The Spanish Inquisition in 1492 left no Jewish family untouched. The impact of this horrific period in Spain runs deep and it has had long-lasting effects upon Jewish families through the ages. Maria, a descendant of a Jewish family forced to convert to Catholicism, allows her gut feelings to rule her religious preferences, and she spends time researching her family’s hidden past. As she begins to find more and more clues, she realizes that her soul is true to her Jewish roots, and she sets out to turn her own life upside down even if it means alienating her Catholic family members. 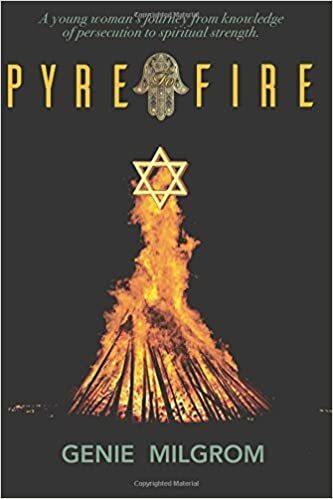 Genie Milgrom’s Pyre to Fire contains two parallel story lines detailing the village of Fermoselle, Spain’s sudden and devastating conversion to Catholicism and descendant Maria’s slow but sure discovery of her family’s painful secrets. The quest Milgrom lays out as part of Maria’s search for answers is written in tandem with excerpts detailing Maria’s ancestors’ struggle in the 1490s. As a reader, I appreciated the parallels and the bounce between modern times and the historical descriptions. I am not versed in this aspect of world history and can easily say I feel equal parts of enlightenment and horror. Milgrom does a wonderful job of painting the trauma and the emotional struggle of the Jews in Spain being forced into conversion and threatened with their lives if they did not comply. Milgrom’s characters, based on her own lineage, help draw a painfully clear picture of the atrocities and the pain experienced by Jewish families who battled for centuries as a result of having to choose to hide their rituals, worship practices, and adherence to dietary restrictions. I found the heartbreaking life of Maria’s ancestor, Catalina, and the circumstances in which she finds herself on the night of the inquisition to be among the most tragic I have read in historical fiction works. Catalina is faced with hiding, lying, and evading arrest. Her life, though she and her husband try everything in their power to make normal lives and honor their Jewish traditions, is a life of pure fear. Catalina is never afforded true happiness. Milgrom gives readers a tragic and historically accurate protagonist. As I read, I had a little trouble getting past some errors that could have been prevented with proofreading. Two characters speaking within a single lengthy paragraph and some misplaced quotation marks and punctuation presented some challenges as I read. 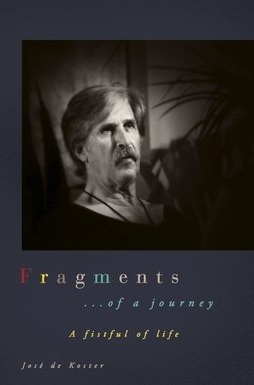 This short read (just under 140 pages) gives readers a clear picture of the horrors inflicted on one group of people by another in the name of religion. Milgrom is helping raise awareness, encourage tolerance, and educating generations far removed from her characters’ lives. Readers who are interested in history and curious about the details surrounding The Spanish Inquisition will find Pyre to Fire a great addition to their collection of literature. Posted on July 3, 2018, in Book Reviews, Four Stars and tagged alibris, author, author life, authors, barnes and noble, bible, book, book club, book geek, book lover, bookaholic, bookbaby, bookblogger, bookbub, bookhaul, bookhub, bookish, bookreads, books of instagram, booksbooksbooks, bookshelf, bookstagram, bookstagramer, bookwitty, bookworks, bookworm, catholic, catholicism, church, ebook, faith, family, fantasy, fiction, genie milgrom, god, goodreads, historical, history, ilovebooks, indiebooks, inquisition, jew, kindle, kobo, literature, nook, novel, publishing, pyre to fire, read, reader, reading, religion, shelfari, smashwords, spanish, story, writer, writer community, writing. Bookmark the permalink. Leave a comment.